British actresses Olivia Colman and Rachel Weisz were among the winners at the London Critics’ Circle Film Awards, where movies by or about women dominated the prizes. Colman was named best actress for Yorgos Lantimos’ The Favourite, while Weisz won supporting actress for the same film. 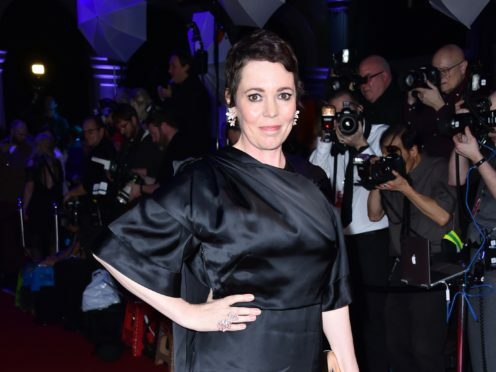 The Favourite was also named best British/Irish film and took the screenwriter prize at the ceremony, which was hosted by comic Judi Love at The May Fair Hotel on Sunday. Alfonso Cuaron’s Mexican drama Roma was named film of the year, and he also collected the director gong. The critics’ top prize, the Dilys Powell Award for excellence in film, was presented to Pedro Almodovar by Tamsin Greig, who starred in the West End adaptation of his classic film Women On The Verge Of A Nervous Breakdown. Other winners included Richard E Grant, who collected his supporting actor of the year prize for Can You Ever Forgive Me? Ethan Hawke sent a video greeting from New York to accept actor of the year for First Reformed. Jessie Buckley was named British/Irish actress for Beast. Rupert Everett sent his co-star and friend Emily Watson to collect his award as British/Irish actor of the year for The Happy Prince. Agnes Varda also sent a video thank you to claim documentary of the year for Faces Places. Molly Wright was named young British/Irish performer of the year for her role in Apostasy and Michael Pearce won breakthrough British/Irish film-maker for Beast. Pawel Pawlikowski accepted the foreign language film prize for Cold War, while his cinematographer Lukasz Zal won the technical achievement gong. Lara Zeidan’s Three Centimetres was named British/Irish short film of the year. Dame Heather Rabbatts of Time’s Up UK said the organisation was “delighted to see the Critics’ Circle nominate two female directors for director of the year at this year’s ceremony, which was hosted by a black woman for the first time”. She added: “And the Film Section’s current chair, Anna Smith, is the first woman to helm the section in over 40 years and is part of a team working towards gender parity and diversity in criticism. “As Time’s Up UK enters its second year, we are as dedicated to raising the profile of female critics as we are the number of female film directors and more women in leadership roles across all parts of the arts industry and beyond.